LIMERICK City and County Council official James Moylan has launched a robust defence of the new tarmac toppings on the main streets of the city. At this month’s metropolitan district meeting, councillors were largely critical of the new ‘Ecoflex’ tarmac coverings laid down across the last week. Labour councillor Elena Secas asked whether council bosses would lay this kind of tarmac in front of their own door. Meanwhile, Fine Gael councillor Michael Hourigan said traders are “justified” in their concerns as rate payers, and Cllr Cian Prendiville, Solidarity, questioned whether a lighter colouring could have been used for the covering. There was criticism from the business community, with Roches Street traders Brian Mortell and Sean McIlfratrick, Lawless Flowers particularly vocal. It was noted the tarmac was laid overnight. But Mr Moylan said this was in order to prevent any negative impact on traders. “The new surface will stop people having accidents. There was a mismatch of materials before, so where we can, we have matched them,” he added at the monthly meeting. “It is very important to note that all the areas resurfaced with the new surface is exactly the same as the one it replaced. All of the footpath surfaces were already Ecoflex that have aged as a result of age, weather and footfall, Mr Moylan added. Independent councillor Frankie Daly sounded a note of praise for the local authority’s actions, however. “There were huge health and safety concerns before, and I would welcome this. It was a necessary step which needed to be taken. When the council does something right, we need to commend them,” he added. 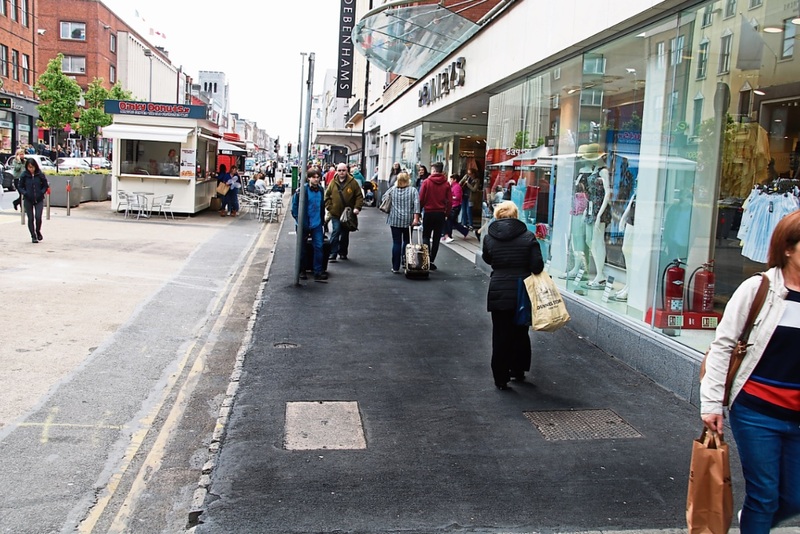 But Cllr Séighin Ó Ceallaigh, Sinn Fein, dismissed it as a “glorified resurfacing job”. “Staff seem to be going ahead with this plan without the support of the elected members, which is never a good thing,” he told this month’s meeting of the metropolitan district which took place at Limerick City Hall.